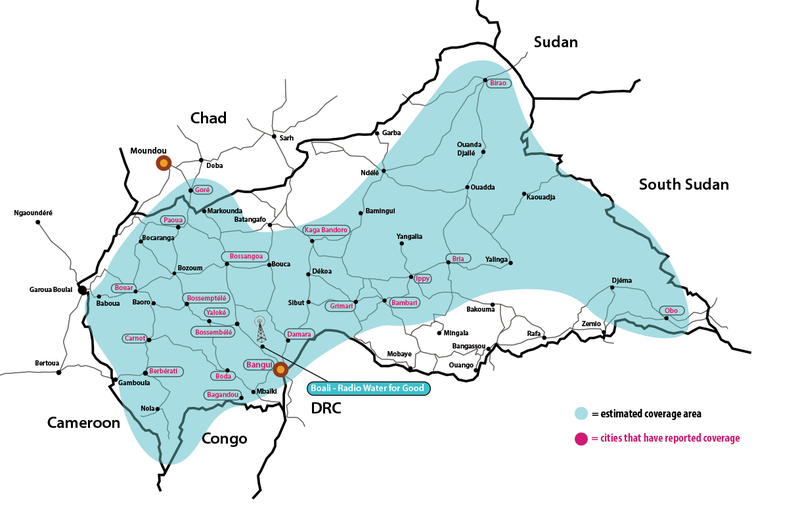 In the Central African Republic (CAR), there is no television broadcast, newspaper, mail service or widespread cell phone coverage outside of the capital city, Bangui. However, every village and many families have a radio, imported cheaply from neighboring countries. Shortwave radio is the best way to share messages with a broad audience in this remote, isolated country, since shortwave radio frequencies reach a much wider geographic region than FM stations. With this in mind, Water for Good worked to establish a radio station that could share weather updates, public health initiatives, and hygiene lessons all across the country and connect the work we do to life-changing Gospel teachings. This locally operated radio station serves as a powerful tool— an example of Christian leadership working for peace and a better future. Contact info@waterforgood.org if you have questions and/or specific equipment you would like to donate to the radio station. Even in the capital city of Bangui there are few opportunities to connect to the outside world through internet cafés and cell phones. The general population receives practically ALL of its information via radio. Radios purchased from countries like Nigeria and Niger are very affordable. They cover FM, shortwave, and medium wave bands. However, shortwave transmission has the farthest reach! Water for Good relies on shortwave transmission as we work to bring quality messages about nutrition, hygiene, and HIV/AIDS prevention to every village. 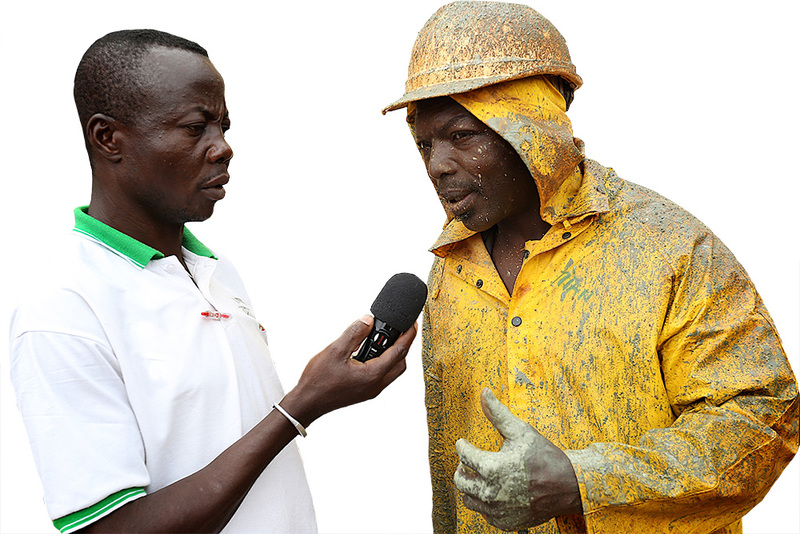 Water for Good’s radio is regarded by many in the country to be “the people’s radio station”—the people of the Central African Republic have expressed a real ownership in Water for Good and its programs. How did this happen? Our station is the first privately owned station transmitting in Sango (the trade language) as well as in French. In December 2005, Water for Good sought and was granted permission to open the first privately owned shortwave radio station. Early in 2006, Water for Good purchased an eight acre portion of land on the plateau above the town of Boali. During that year, we brought two shipping containers full of supplies to the property, we ran electricity and a road to the site, and we installed a fence and a guard house. Then, in 2007 a team of Sonset Solutions engineers (formerly HCJB) from Elkhart, Indiana made a three-week trip to Boali to install a one kilowatt transmitter, shortwave antenna, transmitter studio, and two satellite antennas: one for accessing the Internet and the other for accessing French program sources via Trans World Radio. Water for Good’s Radio Station was commissioned and started broadcasting at a dedication ceremony February 22, 2007 and is currently transmitting programs on 6.03 megahertz. 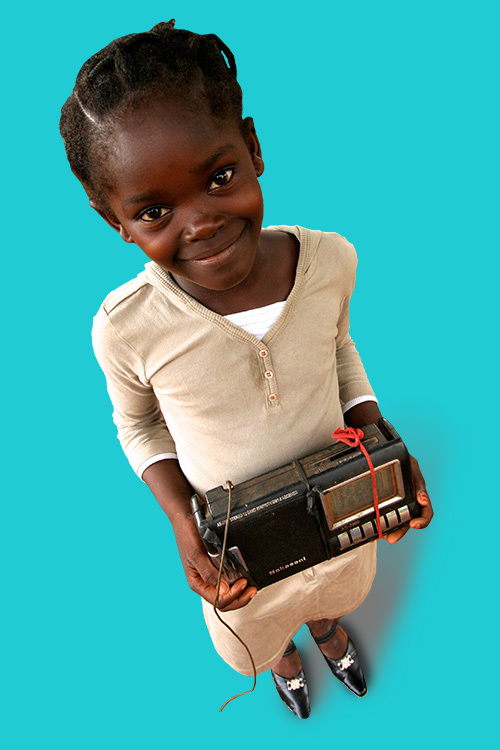 As we grow our organization, radio programming is one part of our overall mission to make a lasting impact in CAR. It supports the efforts in every other area of our work. Please support Water for Good as we increase our capacity to reach communities across CAR with community development programming.